A condition in which one type of stimulation evokes the sensation of another, as when the hearing of a sound produces the visualization of a color. Synesthesia is "abnormal" only in being statistically rare. 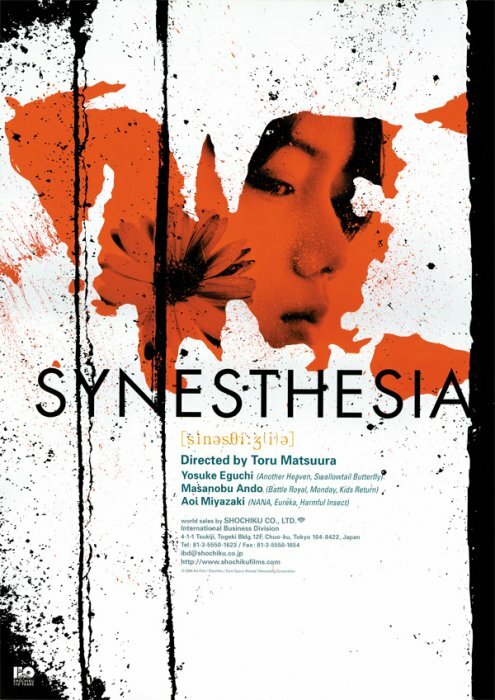 "Synesthesia" is a sensibility which cannot be understood by other people. An incident brings two lonely souls who possess this unsolved puzzle of mind to meet, leading to strange events and a serial murder case.